Final Day - Kids Puffer Jackets Just $15.95! Down From $85! You are here: Home / Instagram / Final Day – Kids Puffer Jackets Just $15.95! Down From $85! 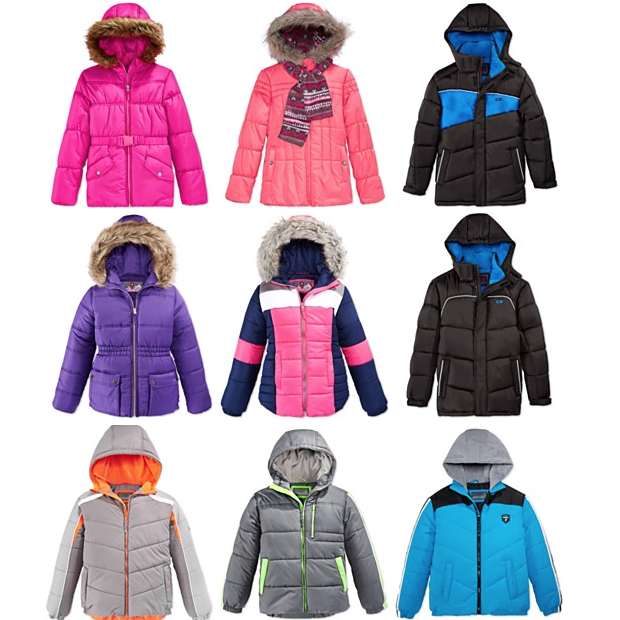 Final Day – Kids Puffer Jackets Just $15.95! Down From $85! Final Day! This is a great deal on kids jackets! Head over to Macys.com to order Kids Puffer Jackets for Just $15.95! Orig. Up To $85! Puffer-style details provide an great cold-weather look (and plenty of warmth) to these jackets! These jackets are on sale for $19.99, but use promo code YH89W to get an extra 20% for a final price of $15.99! Plus, get FREE shipping with $25 orders, or when you buy any beauty item (for example, this $3 Burts Bees Facial Cleansing Towelettes in White Tea! )!